The FV-22-L Casing Spool comes with a full set of LDS or Lock Down Screws. Designed to secure a full-bore load at maximum working pressure. 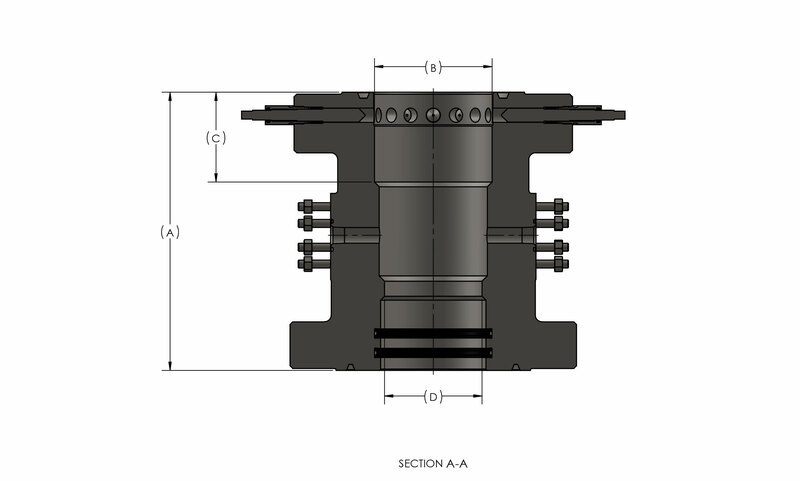 Our L bowl casing head is generally used to lock down mandrel hangers or pack off. This product line is able to support many casing sizes and pressure ratings. The sealings options range from P-Seals, FS-Seals, BG and HP-PE. For specific size and sealing options, please contact your local representative. The FV-22-BP Casing Spool comes with two BP or Bowl protector Pins. 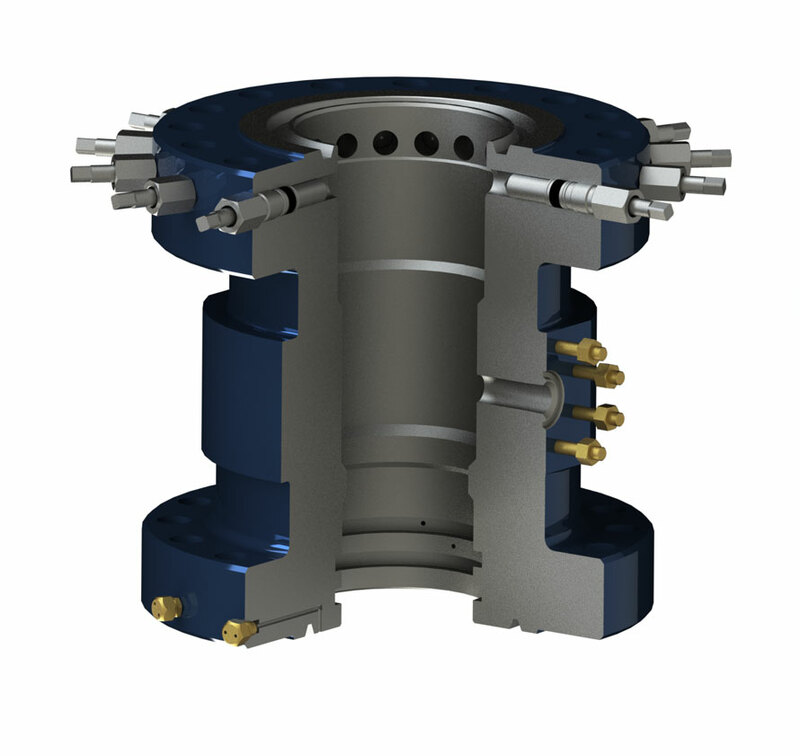 Designed to hold a bowl protector during the drilling operations, avoiding damage to seal bore. 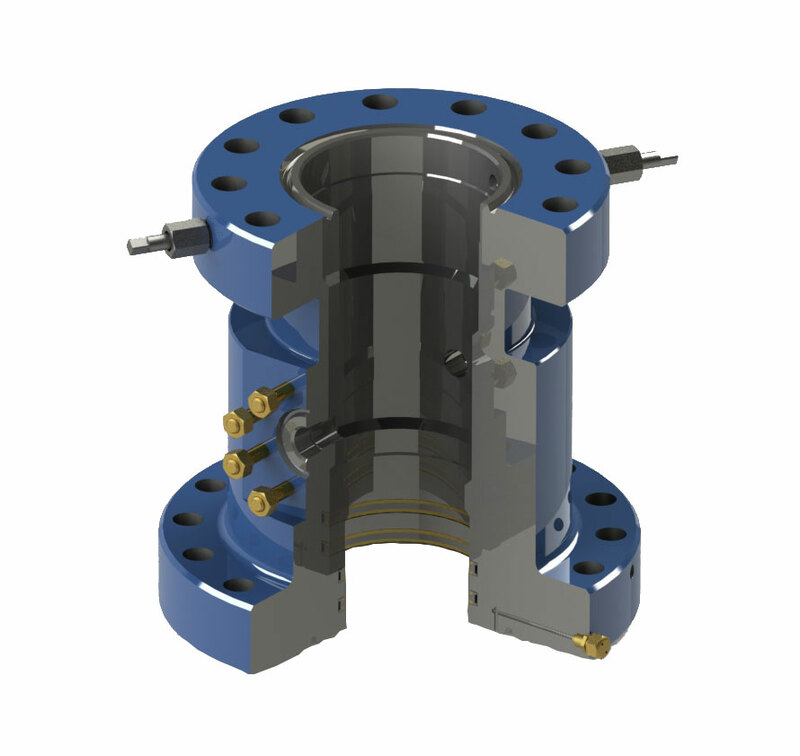 This product line is able to support many casing sizes and pressure ratings. The sealings options range from P-Seals, FS-Seals, BG and HP-PE. For specific size and sealing options, please contact your local representative. The FV-22 Casing Spool has a straight bowl profile. One of the most popular but also basic design. 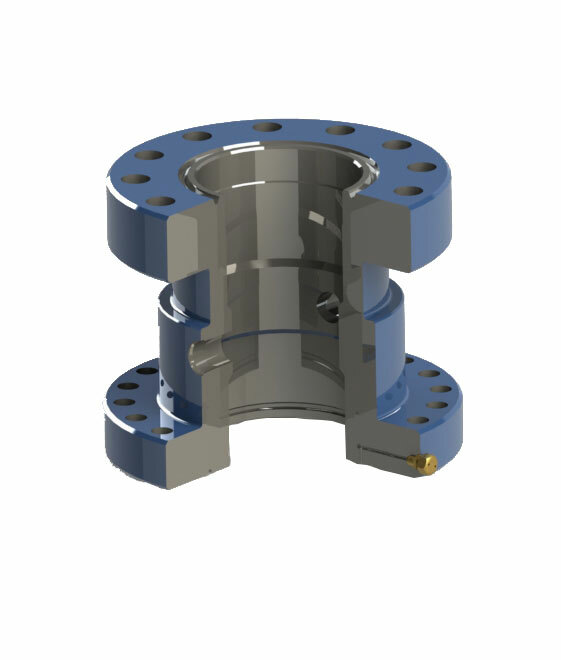 This product line is able to support many casing sizes and pressure ratings. The sealings options range from P-Seals, FS-Seals, BG and HP-PE. For specific size and sealing options, please contact your local representative.